OBERTO organises a variety of events throughout the year. We hold a day conference each September on a topic of current scholarly interest in opera studies (see here) as well as occasional conferences at other times (see here). Throughout the year we host a variety of talks and workshops for OBERTO staff and student members and in some cases the general public. Academic speakers have included Professor Roberta Montemorra Marvin (University of Iowa) who gave a public lecture on Verdi’s ‘Inno delle nazioni’ , Marleen Hoffmann (Universität Detmold / Paderborn) who spoke about her research on Ethel Smyth’s operas and Dr Christopher Hilton, archivist at the Britten-Pears Foundation (see here). We also host talks and events relating to the opera industry, for example, by John Snelson, Commissioning Editor at the Royal Opera House, Covent Garden, about the processes by which programme books come to press. The 2018 OBERTO conference entitled Opera and Violence took place on 11 September 2018. Speakers included two working opera directors as well as academics. Papers and discussions ranged widely from specific operas to the problems of how to stage acts of violence and particularly violence against women, a staple of so many opera plots, in an appropriate way in today’s changed climate. Audiences’ responses to seeing violent acts on stage and, most critically, when they judge them to be gratuitous provoked a thoughtful debate. The conference programme can be found at OBERTO_Annual_Conference_2018 and a conference report here. The conference reflected on the transnational nature of the opera profession through presentations, round tables and free-ranging discussions. As with previous OBERTO conferences, we aim to bring together in fruitful debate academics, performers, conductors, directors, agents, opera company managers, journalists and any other stakeholders in the opera industry. The conference programme can be found at OBERTO_Annual_Conference_2017. The sixth annual OBERTO conference took place on 8 September 2016, welcoming to Oxford Brookes a diverse international mixture of more than 50 academics, singers, directors, critics and members of the public. The theme was operatic acting and the conference set out to examine the manifold ways in which acting, singing, movement, body image, drama and dramaturgy interact on the operatic stage. A particular highlight was the final panel, which saw singers Adriana Festeu and Sally Burgess discuss their experiences of performing Carmen. The conference programme can be found at OBERTO_Annual_Conference_2016 and a conference report can be found here. This conference aimed to examine the ways in which operatic celebrities across the centuries have promoted themselves and been received by audiences, as well as exploring the impact stars have had upon operatic works and productions. The conference included a special session on opera and celebrity during the interwar period, associated with Dr Alexandra Wilson’s British Academy-sponsored project on British operatic culture in the 1920s. The conference programme can be found at OBERTO_Annual_Conference_2015 and a report on the conference can be found here. The aim of this conference was to examine critically the idea of opera as a socially exclusive and intellectually forbidding genre, and to consider ways in which it might be presented in more positive, interesting and productive ways. The stereotype of opera as an ‘elitist’ pursuit for the snooty rich, who dress up to enjoy fat ladies singing loudly in opulent surroundings is not new; however, it is one that has been perpetuated much more vigorously in recent decades by a media hungry for hits and happy to fan the flames of controversy. Concerns about the squandering of public funds are never far from the surface of the debate. The premise of our conference was that the negative stereotypes surrounding opera are profoundly damaging, inhibiting potential new audiences from engaging with opera by telling people it is ‘not for them’. We were delighted to welcome to Brookes not only academics who have approached this issue from a variety of historical and critical perspectives, but also opera house professionals, critics and singers who have to confront the negative stereotypes that are attached to opera in their daily lives. This mixture of different types of delegate led to some extremely productive discussion. The conference programme can be found at OBERTO_Annual_Conference_2014 and a conference report can be found here. 2013 was a year of key operatic anniversaries, marking, amongst others, the bicentenaries of Giuseppe Verdi and Richard Wagner and the centenary of Benjamin Britten. Rather than focus upon the music of an individual composer for our 2013 conference, we decided to interrogate the mechanics of operatic anniversary celebrations past and present, in keeping with the historiographical focus of past OBERTO conferences. ‘Staging Operatic Anniversaries’, held at Brookes on 10 September 2013, brought together scholars from the UK, America, Germany and Italy, postgraduate and undergraduate students, opera critics, and members of the music industry. A conference report can be found here. After 2011’s launch of OBERTO with the Beyond Press Cuttings conference, the 2012 conference focused on the theme Operatic Masculinities. Four themed sessions – entitled “Non-heroic masculinities”, “Queer Masculinities”, “Tippett’s Masculinities” and “20th-century Masculinities” – explored a wide range of operatic roles from 17th-century Venetian travesti roles (Jun Zubillaga-Pow, King’s College London) to Soviet war heroes (Nathan Seinen, University of Nottingham). The majority of presentations focused on the operatic traditions of the 19th and 20th centuries, e.g. Corinna Connor’s (Birkbeck, London) entertaining presentation on Johann Strauß’s Prince Orlowsky, Christian Thomas Leitmeir’s (Bangor University) more sober reflections on “negative andrology” in early Romantic German opera, and Mark Brooks’s (King’s College London) and Hugo Shirley’s (Opera magazine) explorations of father figures in the operas of Zemlinsky and Richard Strauss respectively. In addition broader issues were raised concerning the interface of opera and popular culture (Katherine Williams, Leeds College of Music, on Rufus Wainwright), opera and queer theory (Daniel Somerville, University of Wolverhampton) and the changing position of the male performer in the operatic star system (Freya Jarman, Liverpool Hope University). Several papers investigated the connection between composers’ biographies and their stage works with a special collaborative session on Michael Tippett presented by Kenneth Gloag (Cardiff), Jessica Collins and Michael Graham (both Royal Holloway). The formal part of the proceedings concluded with a lively discussion involving all participants about the current state of research into opera and masculinity. 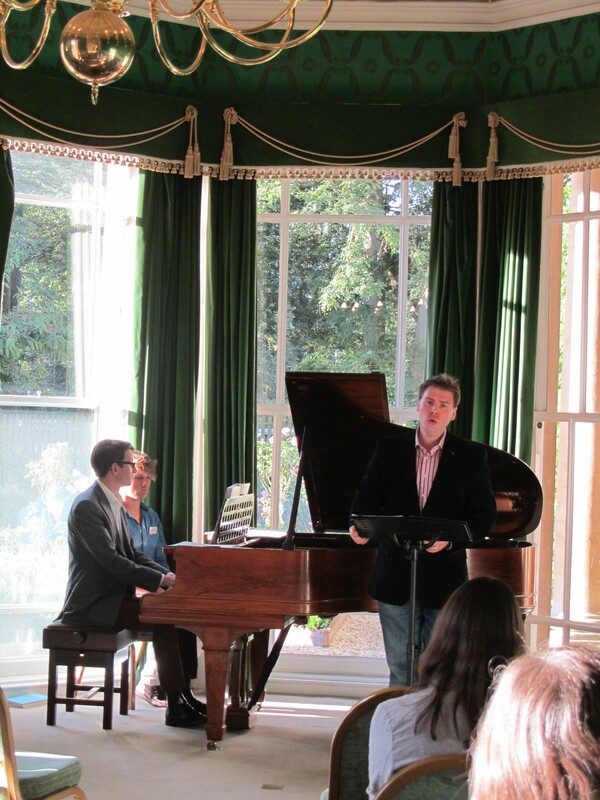 The day finished with a lecture recital entitled “Mozart’s Men” by tenor Benjamin Hulett, currently an MA student at Brookes, and pianist Gulliver Ralston, in the beautiful setting of Headington Hill Hall. The two performers had selected arias by Mozart and his contemporaries which were created for the same male singers, thus showing how performers – and the idealised masculinities they embodied – influenced operatic roles across composers’ individual styles or even different genres. The conference programme can be found at OBERTO_Annual_Conference_2012 . ‘Beyond Press Cuttings’ was the inaugural OBERTO conference, building upon OBERTO members’ particular interests in reception studies. Far from being a mere historical ‘footnote’, reception has come to be seen as central to the study of opera over the past decades. Reception studies have moved from the perfunctory inclusion of a few choice newspaper snippets to a fresh perspective on music that relocates the traditional focus on composers and works towards performances and audiences. The purpose of this conference was to consider the ways in which the parameters of operatic reception studies are shifting to include new sources, new media and new audiences, and in the process shedding new light on how societies have received and made use of opera, from the nineteenth century to the present day. Topics discussed included the reception of opera through novels, caricature and film. Several papers from this conference were subsequently published in a special issue of Cambridge Opera Journal (25/02, July 2013) dedicated to new approaches to operatic reception studies, edited by Alexandra Wilson and Roberta Montemorra Marvin. The conference programme can be found at OBERTO_Annual_Conference_2011 . A collaboration with Queen Mary, University of London, on a new project, Opera in the East End, was launched on Monday 6 March 2017. See https://obertobrookes.com/2017/02/12/opera-in-the-east-end-launch-event/ for details of the initial conference. This conference was held at the Institute for Musical Research, University of London on 18 March 2017. The conference brochure can be found here OBERTO_Operatic_Objects_Conference_2017. 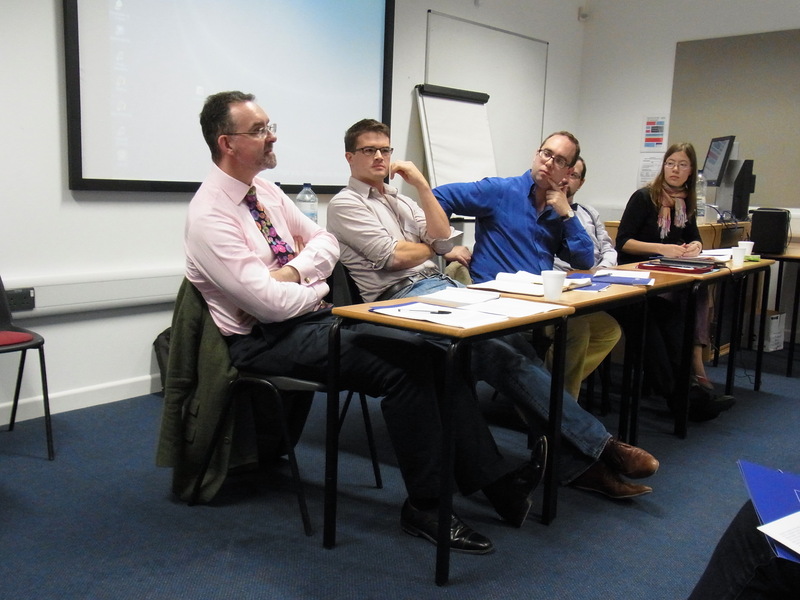 OBERTO has run a few conferences aimed at giving new postgraduate students a forum for papers.